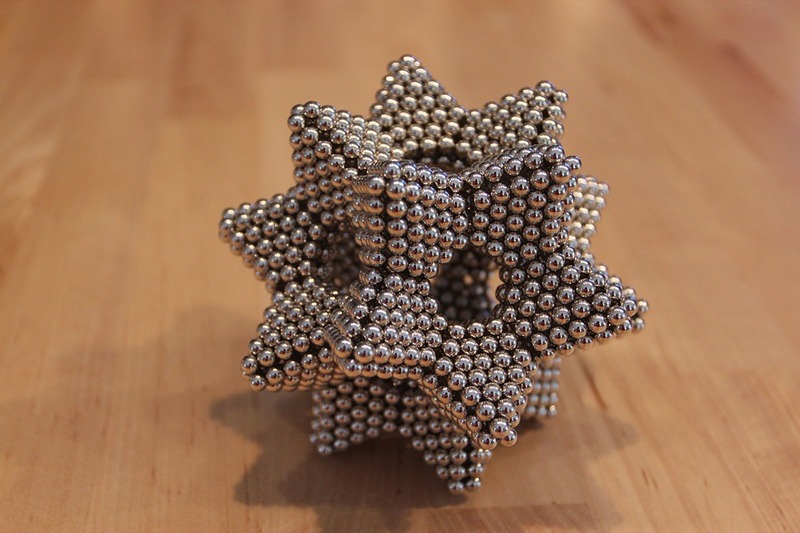 DENVER (CN) – The 10th Circuit on Tuesday tossed a federal safety standard restricting the size and strength of tiny magnetic balls sold by Denver toy company, Zen Magnets. The Consumer Product Safety Commission enacted the new safety rule in 2014 after it concluded the small but powerful magnets pose a high risk of injury and death when swallowed. According to the commission, when a person ingests more than one of the magnets, they are attracted to each other in the digestive system, creating the potential for serious damage to intestinal tissue trapped between them, or even death. “An agency may not simply ignore without analysis important data trends reflected in the record,” wrote U.S. Circuit Judge David Ebel in a 24-page ruling. This past March, a federal judge said Zen Magnets must recall the magnets sold under the brand names Neoballs and Newbcubes because they could cause fatal injuries when swallowed. But days later, an administrative law judge ruled the magnets aren’t inherently unsafe because they only pose a hazard when individuals do inadvisable things with them. The 10th Circuit agreed with the company’s assertion that the injury data used by the commission to justify the new safety standard was inadequate. The commission used data spanning from January 2009 to June 2012. But the panel said that period didn’t reflect changes in the market that occurred during that time, such as the withdrawal from the market of nearly all of the largest magnet set companies, which had recalled their magnets by July 2012. With most of the major players gone, magnet set sales declined, and, according to the panel, so did injuries from swallowing them. The number of incidents reported to the commission fell from 52 in 2012 to two in 2014, Ebel said. He indicated the agency’s existing safety standard prohibiting designing and marketing the tiny magnets to children accounted for the drop in injuries. The panel also agreed with Zen Magnets that the commission’s emergency room data was too uncertain, finding that because 90 percent of the data may not have actually involved the magnets, it didn’t justify the commission’s findings on the injury risk of the magnets. “While the commission is certainly free to rely on the emergency room injury report data set, it may not do so in a way that cloaks its findings in ambiguity and imprecision, and consequently hinders judicial review,” Ebel said. “We are confident that mere possibility falls short of the appropriate standard,” he added. U.S. Circuit Judge Robert Bacharach broke with the majority, finding adequate evidence to support the commission’s conclusions. In his 18-page dissent, he disagreed that the data’s time frame was problematic, noting that no one had commented on the commission’s choice of time frame during the notice-and-comment period for the new safety regulation. “In my view, the absence of public comment on this issue results in waiver of the challenge,” he said. Although Zen Magnets now has the all-clear to start distributing the magnets again, Japha said he expects the commission to ask the Tenth Circuit for a rehearing. Still, he remains optimistic about the case. U.S. Circuit Judge Neil Gorsuch joined the majority opinion. The Consumer Product Safety Commission is represented by Daniel Tenny, who did not return a request for comment. The Department of Justice also declined to comment.